Conveniently located at IOI Boulevard, Puchong, our clinic offers a wide range of treatments and procedures. You are welcome to make an appointment for a consultation for aesthetic treatments and therapies to address any concerns you might have about your look and appearance. Some of the treatments currently available at our aesthetic clinic include procedures for hair loss, slimming, wrinkles, body contouring and many more. One of our signature treatments at Puchong Branch is CLATUU Fat Freezing. It is a non-invasive treatment designed to help you get rid of stubborn fat deposits. It utilises an advanced cooling technology called Cryolipolysis, which freezes fats at 9 degrees Celsius for 1 hour per session. CLATUU is suitable for busy people because it is a solution without surgery or downtime. 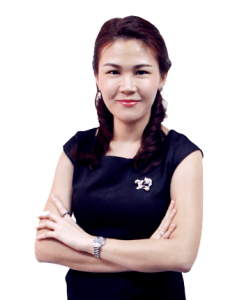 The resident doctor at Premier Clinic Puchong is Dr. Michelle Lai. She graduated from the prestigious Crimea State Medical University, Russia with a medical degree (honours). She also has a Diploma in Aesthetic Medicine from the American Academy of Aesthetic Medicine (AAAM), a Diploma in Primary Care Dermatology from Institute of Dermatology Bangkok, and a Graduate Certificate in Primary Care Dermatology from the Academy of Family Physicians of Malaysia. In addition, she is a LCP holder, an aesthetic practitioner licensed by the Malaysian Ministry of Health. Dr. Michelle is a highly professional doctor with several years of experience under her belt. Her areas of expertise include FUE hair transplant, breast enhancement and vaginal rejuvenation, so it is advisable to visit this particular branch if you would like those procedures done. 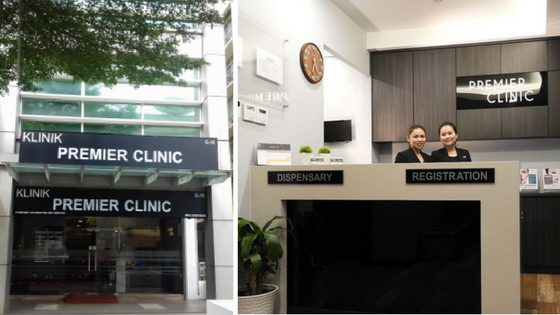 Premier Clinic Puchong is located in IOI Boulevard, and can be found on the same row as RHB Bank as well as PappaRich restaurant. There is ample parking available on the road in front of Premier Clinic Puchong, but you may also choose to park indoors at the basement level for greater security and convenience. Car park charges are an affordable RM1 per hour. Premier Clinic Puchong branch is open to the public from Monday to Saturday. To schedule a consultation session with our professional aesthetic doctors and staff members, kindly call us at +6012-6625552 or email us at contactus@premier-clinic.com. We offer FREE consultation.